B-Open 2019 takes place 27th and 28th April. 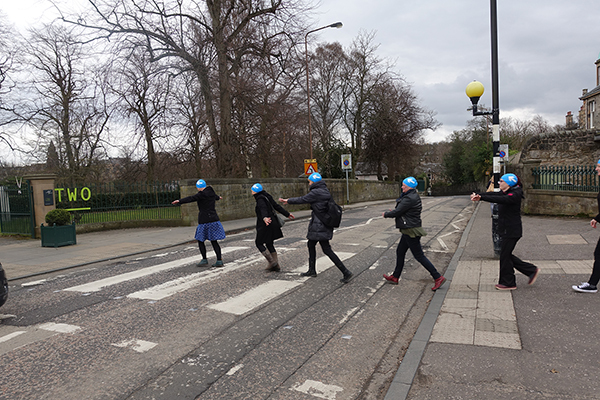 But we will have cakes! This is a once yearly chance to get to see what happens on this side of the fence!! 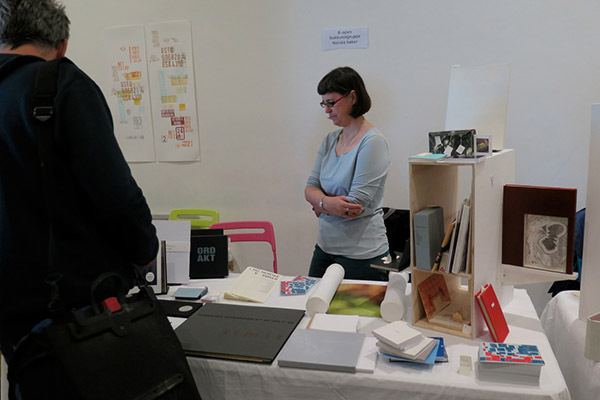 A Travelling Collection of books from Norway have been shown at the Fruit Exhibition in Italy in February. Banner design by myself! 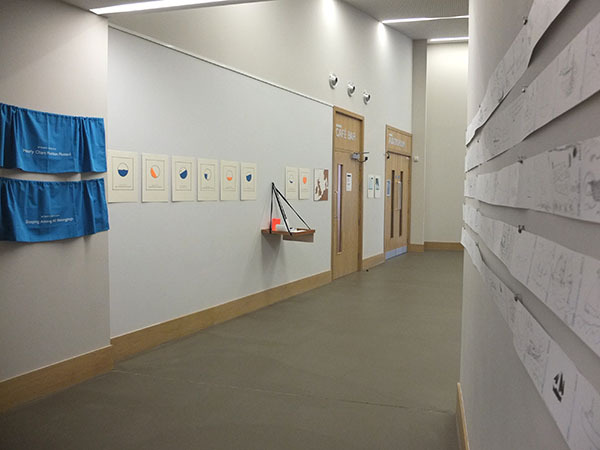 The SwimWalk is part of the Translating Travels exhibition at Edinburgh Printmakers. 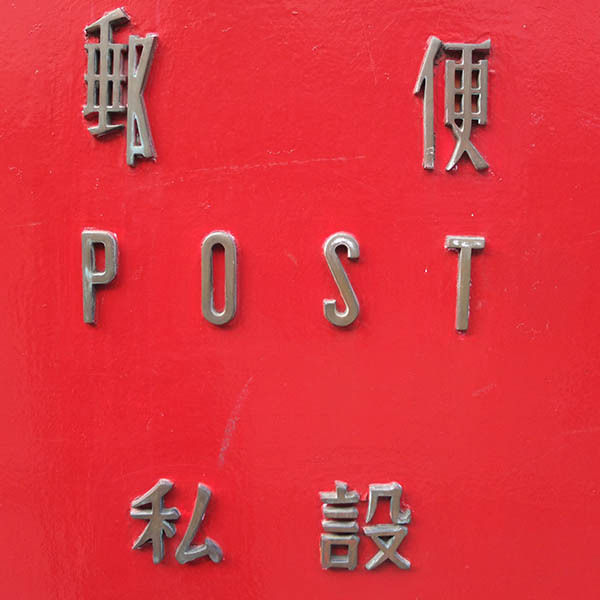 My first solo show since 2008 is a retrospective collection of works under the title Translating Travels and has been commissioned by Edinburgh Printmakers, where I completed a residency in November 2017. 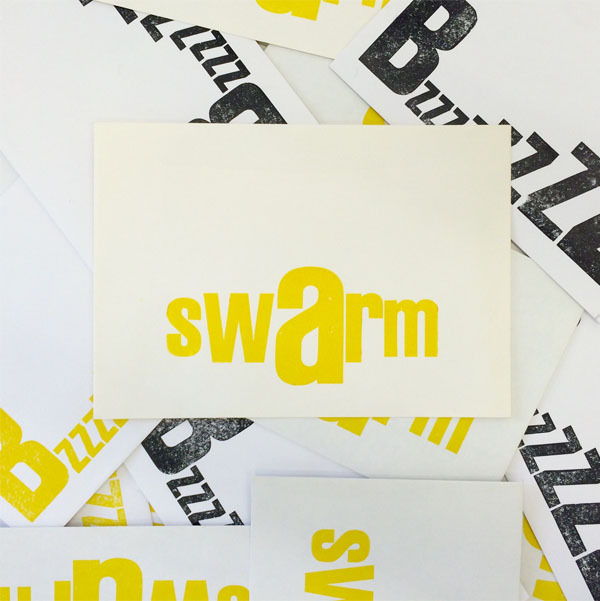 In addition to this work I have commissioned 30 artists to create an edition of postcards which will be on show in the gallery shop for the first half of the exhibition, and these from an alternative catalogue. 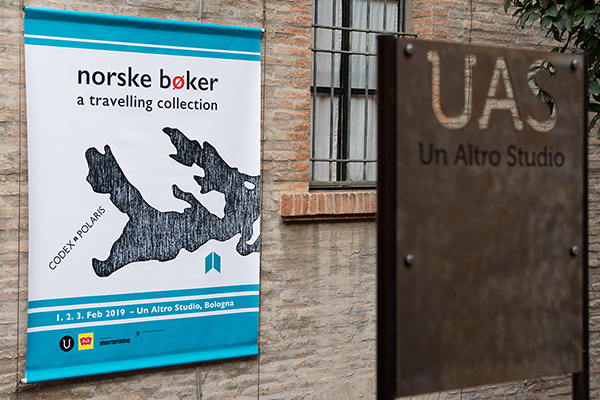 The Exhibition is running until 21st July 2018. With more events plan for the duration of the show. 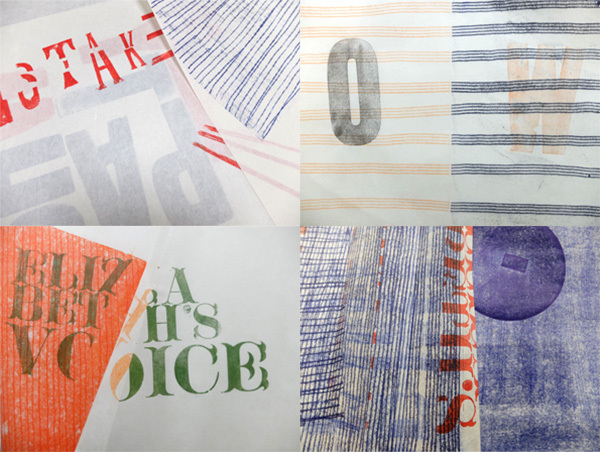 Please see Edinburgh Printmakers website for more information. On Saturday 21st October between 12-4pm. 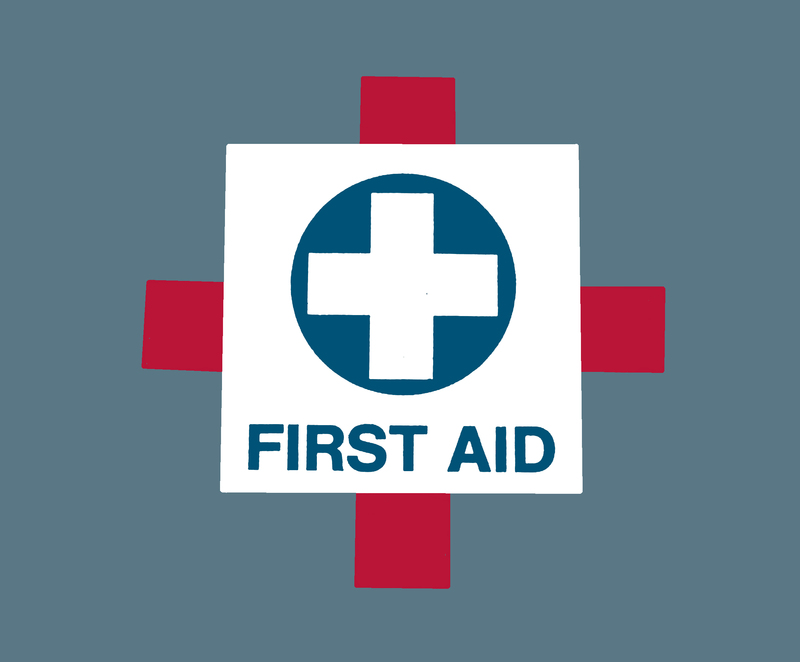 Pop in for a bit of bookish first aid! 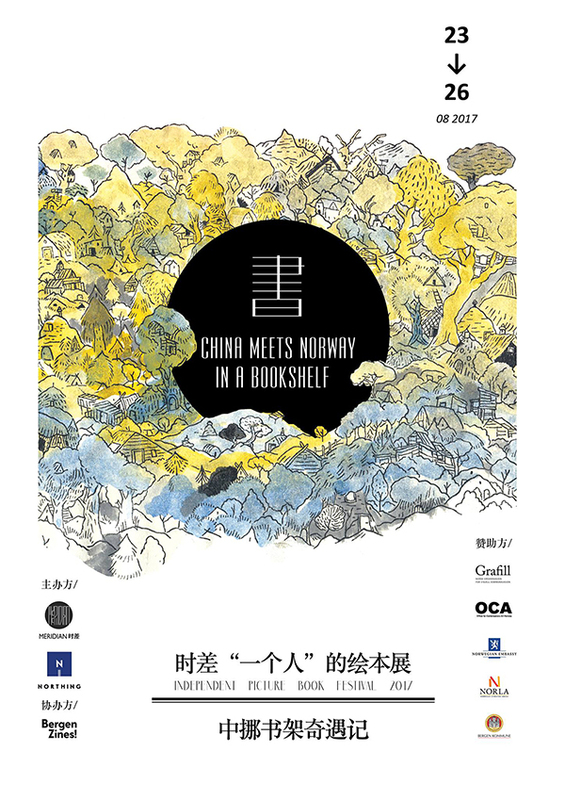 Invited by Northing and Bergen Zines I will be travelling to Beijing to the Book Art Fair at the Meridian Centre, in Central Beijing. The book fair takes place at from 23th to 26th August. 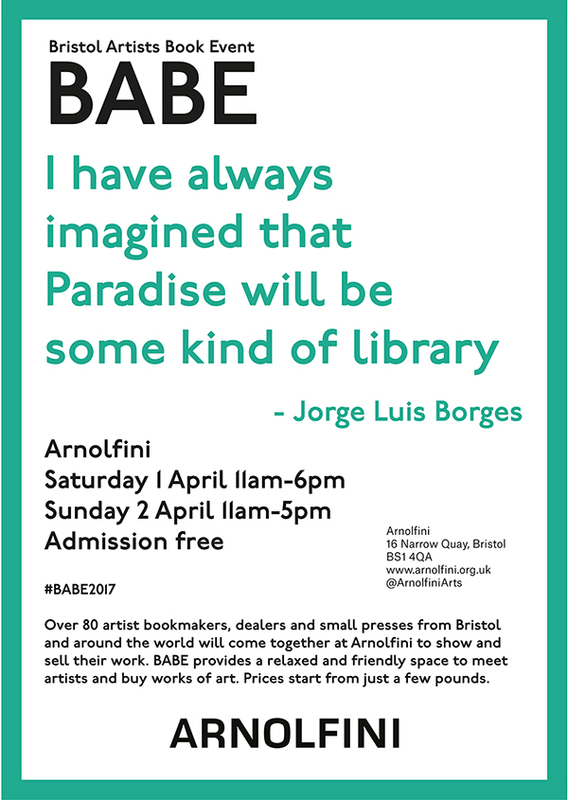 Adie+Maufe will be showing book works at Bristol Artists Book Fair on 1st and 2nd April, at the Arnolfini in Bristol. 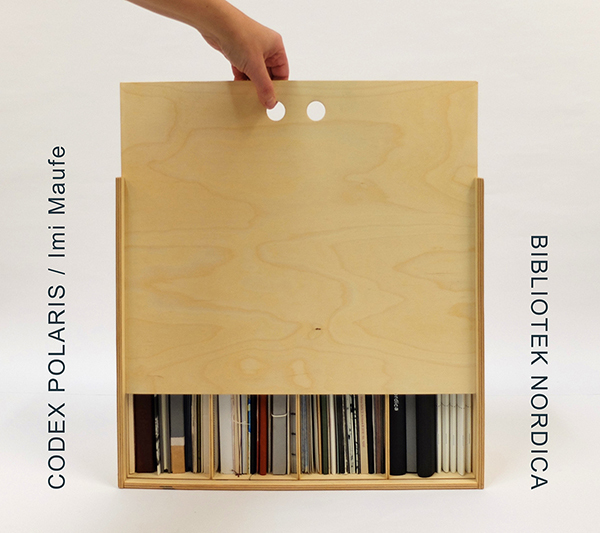 Adie+Maufe will be showing work at the CODEX Book Fair in Richmond, California, USA from 5th-8th Feb 2017. 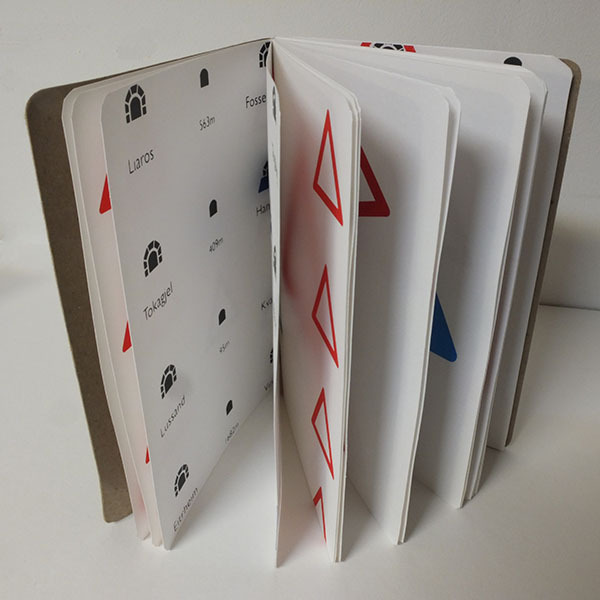 Adie+Maufe is books and other small publications by Megan Adie and Imi Maufe. 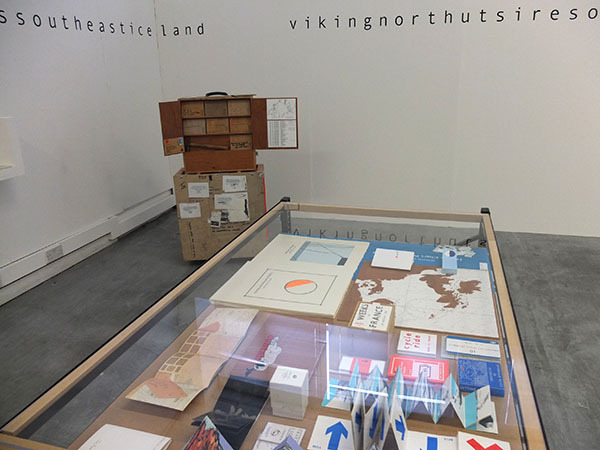 Based in San Francisco and Bergen, Norway, with outposts in Malmö, Sweden; Norfolk, England; and Basel, Switzerland, the duo works both individually and together making artist books, prints, and ephemera. 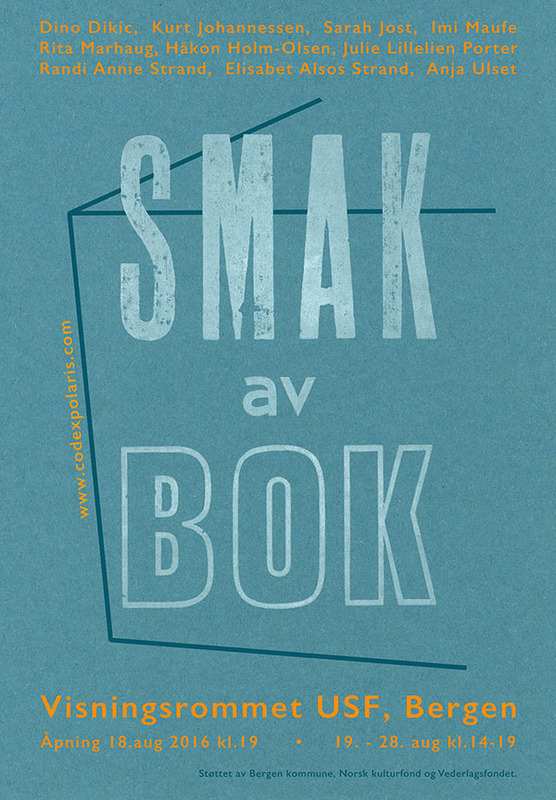 In addition to their work as artists, Adie and Maufe are organisers, and between the two of them have founded a successful residency in Basel, Switzerland and organised several group projects, including, most recently, Smak av Bok (Taste of Book). 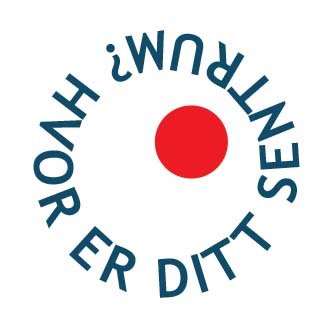 With support from Bergen kommune. 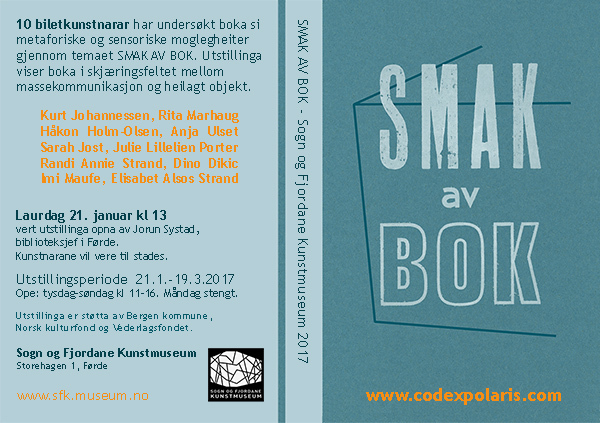 Smak av Bok's last destination will be at the Sogn og Fjordane Kunstmuseum in Førde with an opening on Saturday 21st Jan at 1pm. 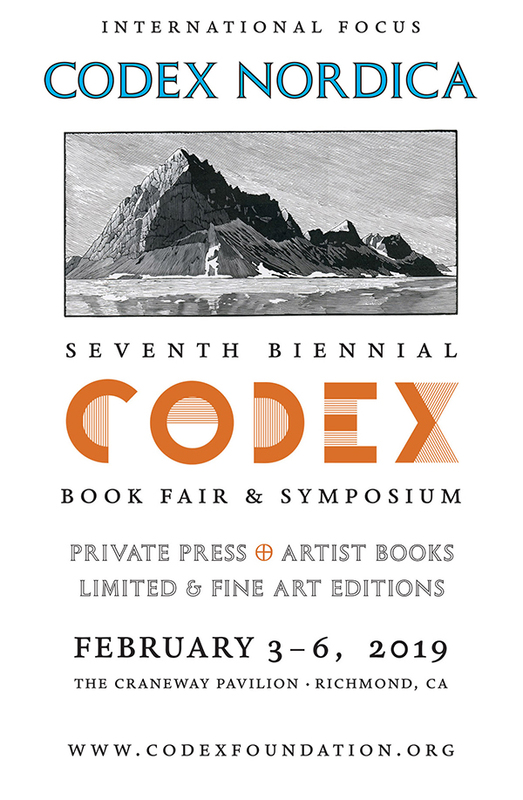 I will be showing work at the 6th Biennale CODEX book fair and seminar in Richmond, California from 5th-8th Feb 2017 with Megan Adie under the collaborative name Adie+Maufe. 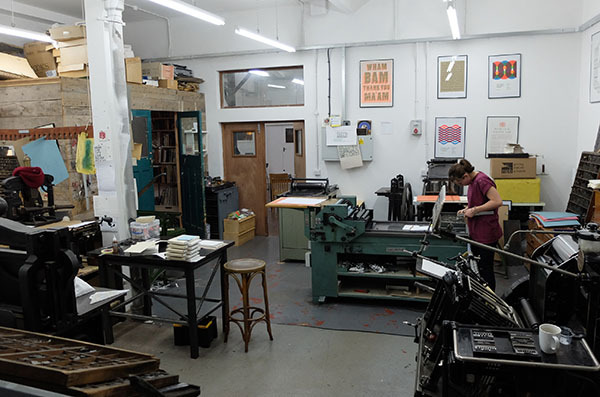 Also going to be spending two months on residency at Kala Art Institute with 24 hour access printing. 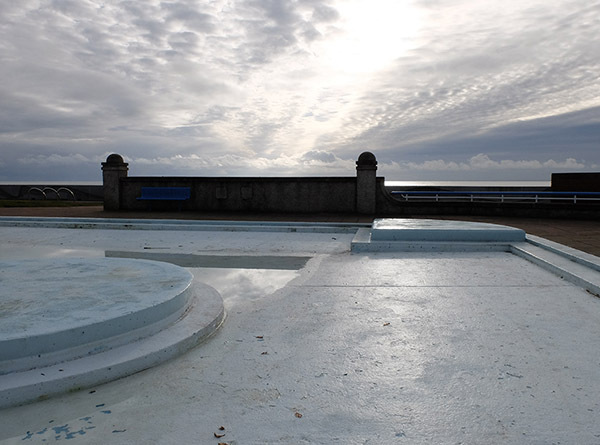 Will be arriving at Hospitalfield Arts in Arbroath, Scotland on Monday 7th November for the two week Nov 2016 Interdisciplinary Residency. 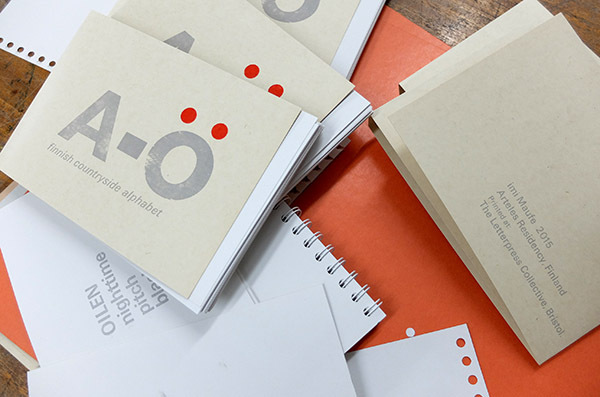 For three weeks I will be based at the printstudio in Uttersberg, working on two projects, one about swimming and one about a BIKE BAOT journey from the summer. 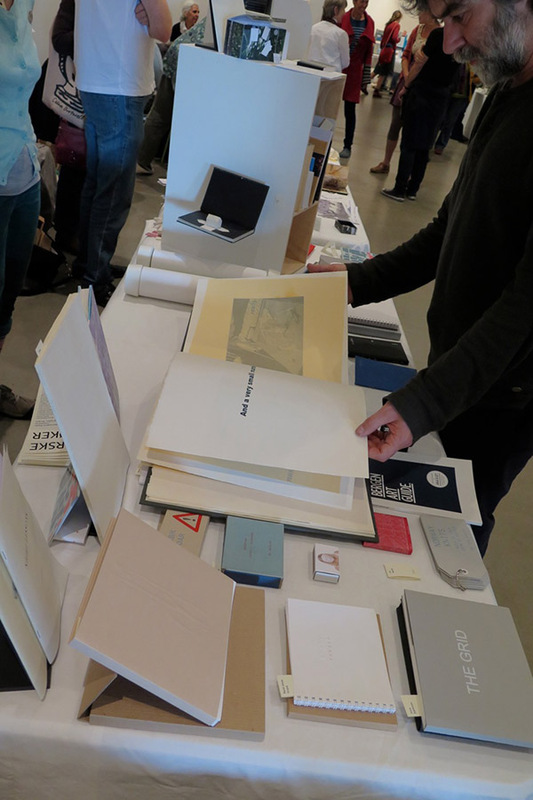 Next weekend is the yearly seminar at Grafikverkstan Godsmagazinet and I will be taking part alongside 8 artists who work with books from Norway, Sweden and Finland. On Sunday 2nd Oct we will be giving presentations of our work. Visit if you are in the area! Can recommend a visit to this secret place. 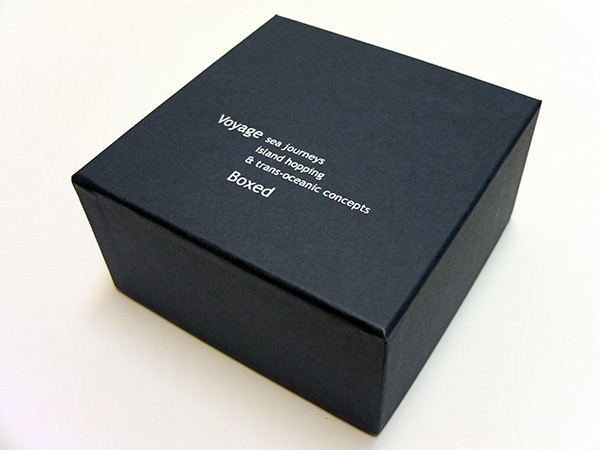 Voyage Boxed is now documented in a new website (designed and initiated by Ding Ren) which brings together all information of exhibitions that the Box has travelled the world to and where it is to be found in collections. 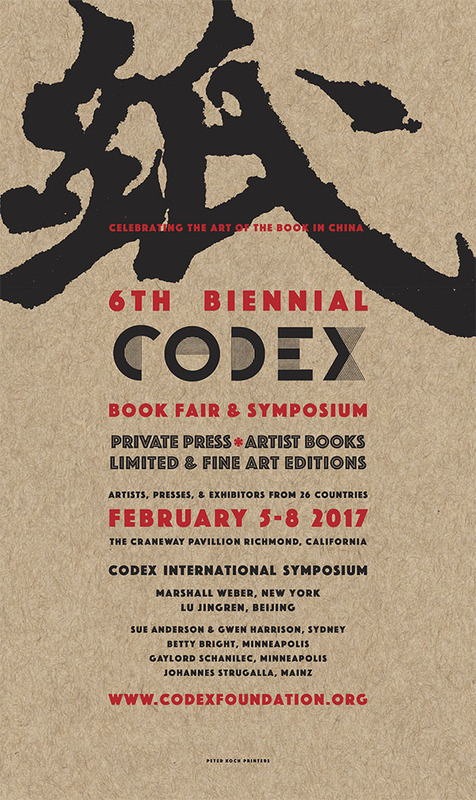 The next port of call for Voyage Boxed with be at CODEX Book Art Fair in San Fransisco in Feb 2017. 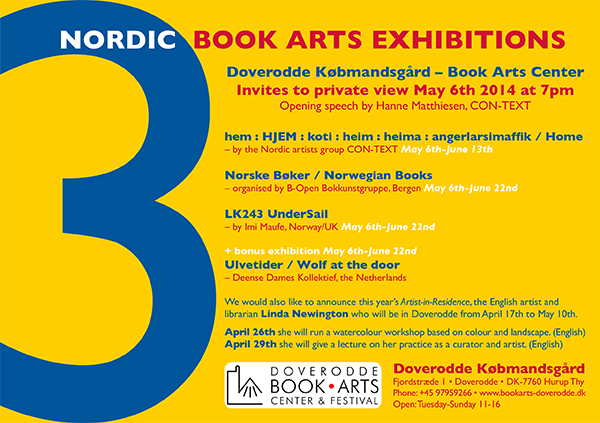 An exhibition in Oslo at Norske Grafikere BOUND / UNBOUND - book - print - sculpture opens on the 7th April at 6pm. 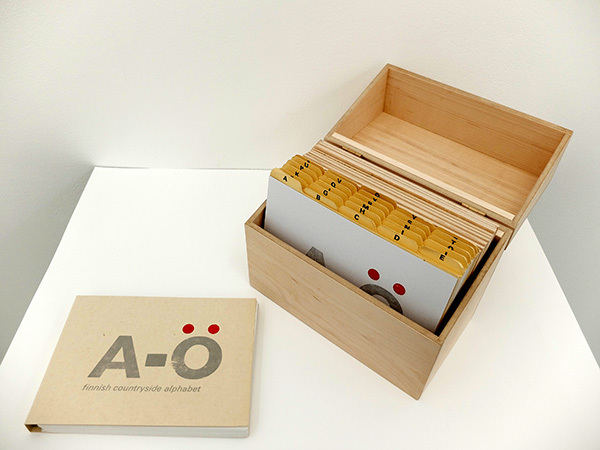 Selected artists who work with books. Am looking forward to seeing what the show looks like. 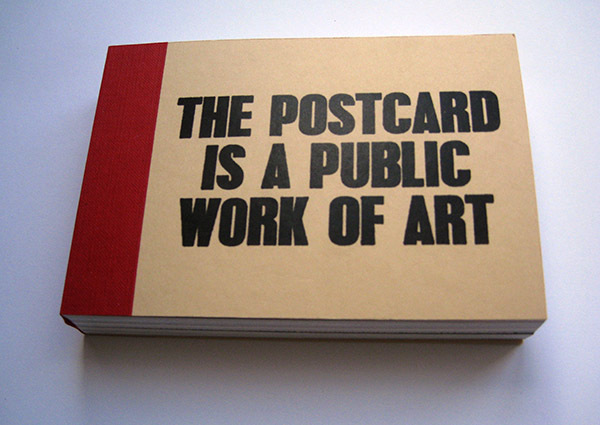 I have work in Jeremy Cooper's Postcard Collection at Hestercombe Gallery, in Cheddon Fitzpaine near Taunton. Exhibition is up until 28.02.2016. 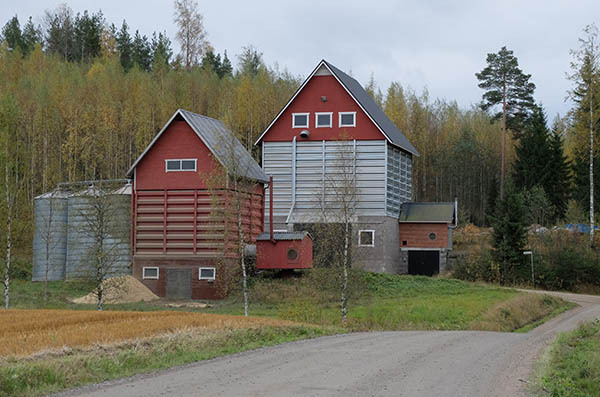 Am currently in central Finland on residency at Arteles for the month of October. 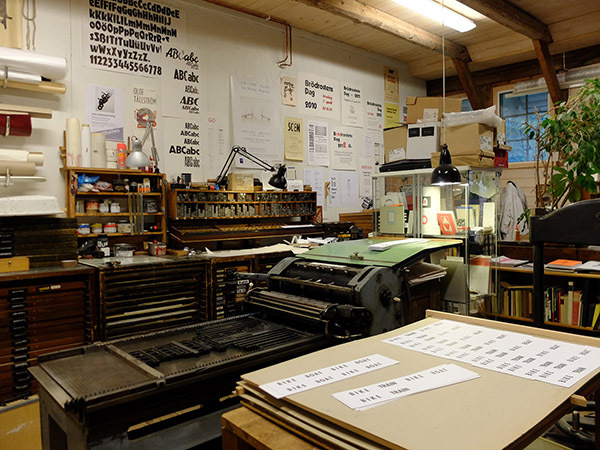 Arteles Creative Centre is based in an old school in the countryside. 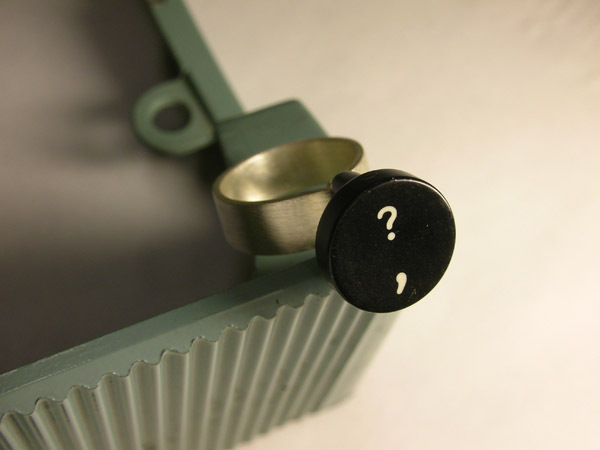 There are nine people here with the residency title of 'Enter Text'. The majority are authors and poets. Have spent the first few days cycling around the lanes thinking and taking a collection of photos of buildings. 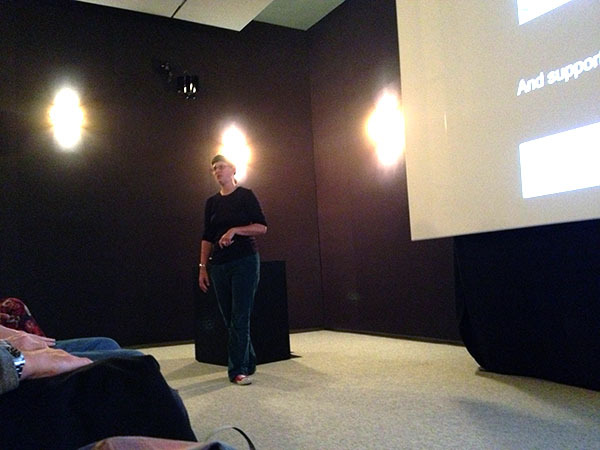 This is a residency that is very open, no outcome is required so it is great just to time and space. Curious to see what happens besides saunas and Northern Lights, stewed apple and blueberries, cycle rides and lake swims, frost and autumn colours. 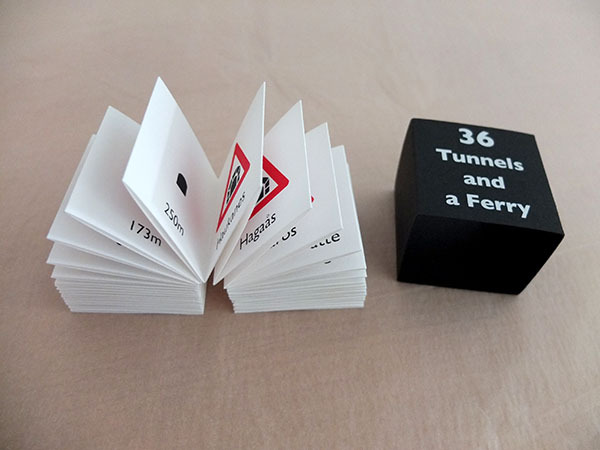 Voyage Boxed and 26 Tunnels and a Ferry have been selected for Kaleid London 2015 which took place on 18th July at the Art Academy in London. 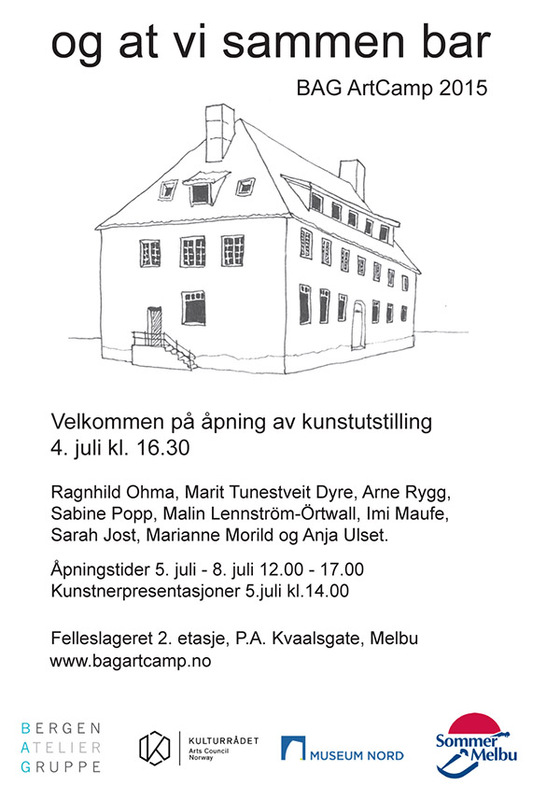 BAG Art Camp 2015 is over and we have left Melbu after two intensive and fun weeks. 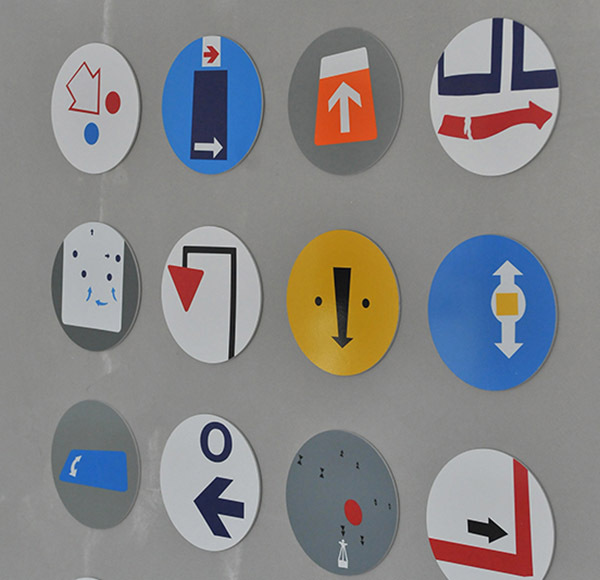 Finding the Way is a series of arrow signs created for the residency and refers to arrows found in Melbu. The result of BAG Art Camp's residency in Melbu. 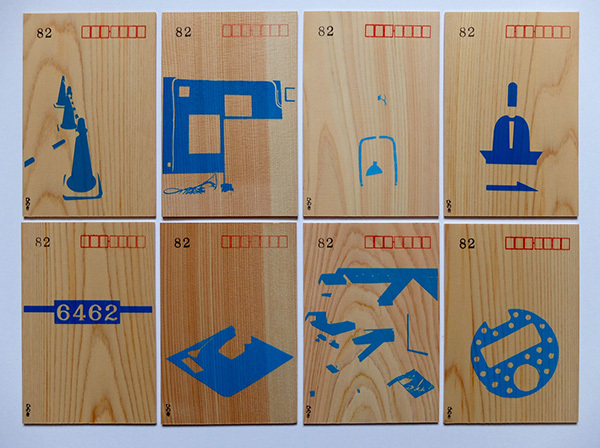 Have been working with material from Japan - a new postcard book and print have been screen printed at Trykkeriet, Bergen. 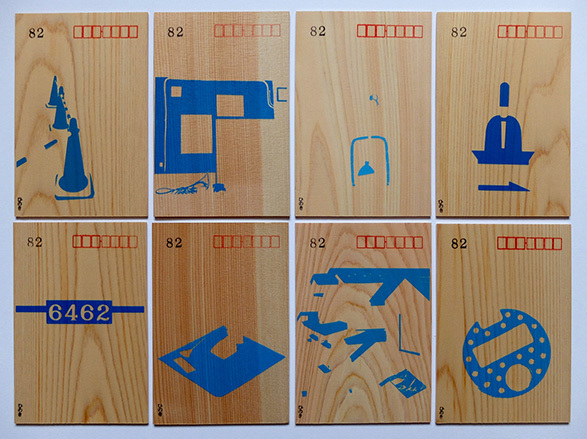 still got a few final details to finish off but here is an image of 8 of 12 postcards. 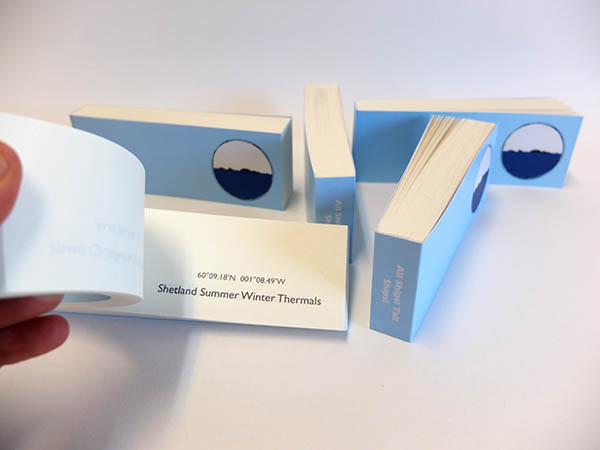 They are waiting for a box to be made to create an edition of 10 box works holding the 12 postcards. The prints are on white Somerset paper, more info later. 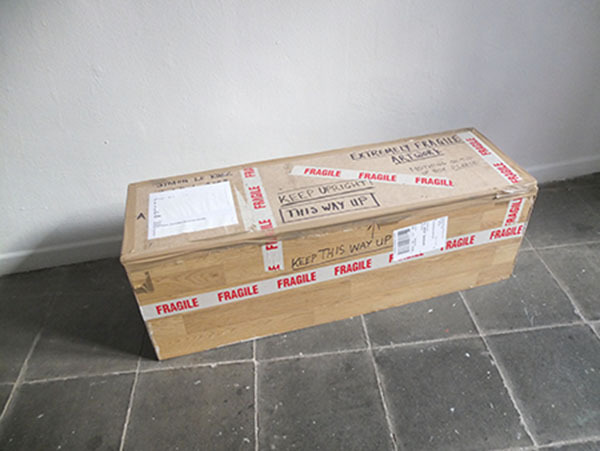 LK 243 UnderSail will be travelling from Denmark to Norfolk next week in time for its next exhibition at Cley church as party of the Creative Conversations exhibition for Cley14, curated by Rod Bugg and Polly Binns. 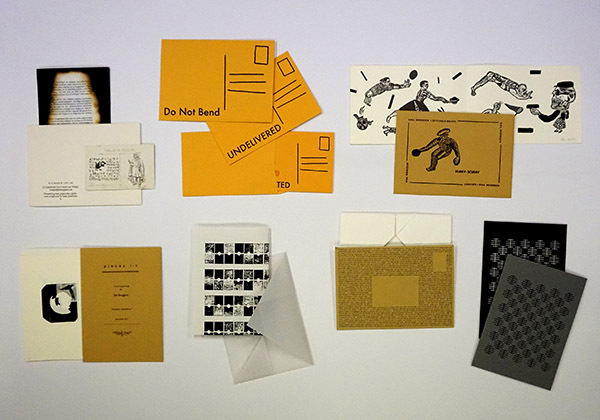 First exhibition of the new year is a set of postcards for the "The Postcard is a public work of art" exhibition at X marks the Bökship gallery in Bethnal Green, London. If you are in London pop in. 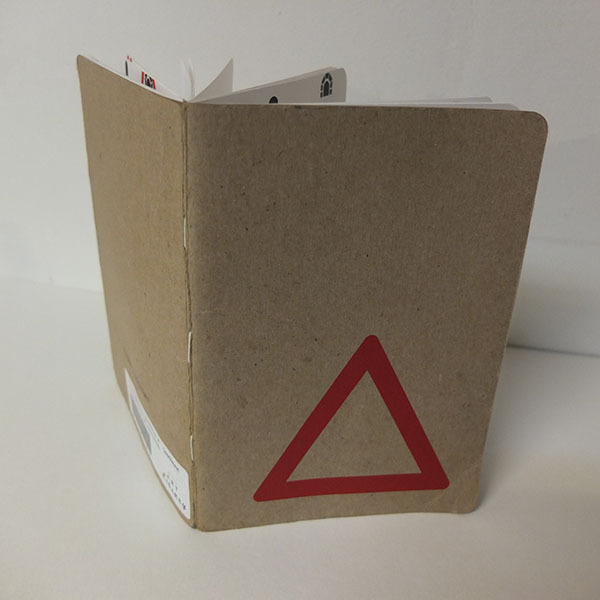 Have made this sketchbook for the Sketchbook Project at the Brooklyn Art Library, New York. 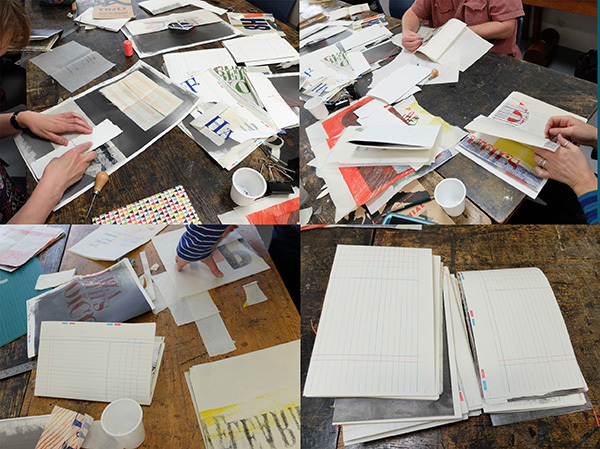 It is a sketchbook of screenprint offcuts from my recent work and will be touring with the entire USA tour in 2014. 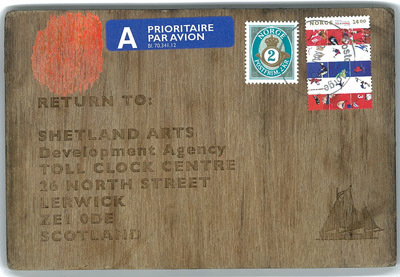 Next stop is Dundee, where I am attending IMPACT 8 International Print Conference from the 27th August to 1st September. An academic poster presentation and the touring exhibition of LK 243 UnderSail will be on show. 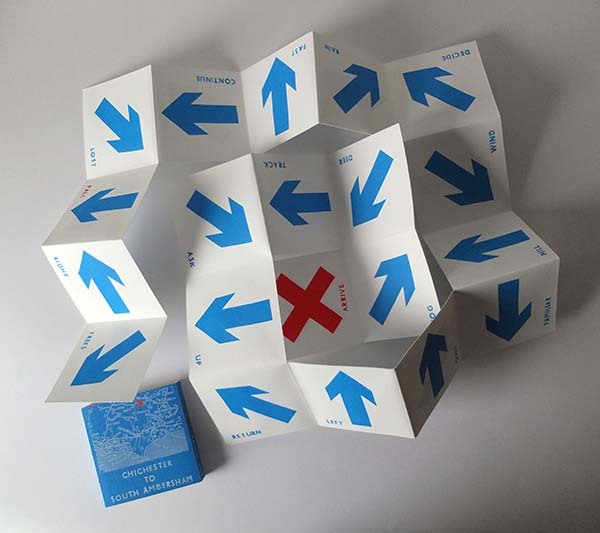 Have also been asked to create a new book for the conference using the theme of Artist as Explorer / boundaries and crossings. 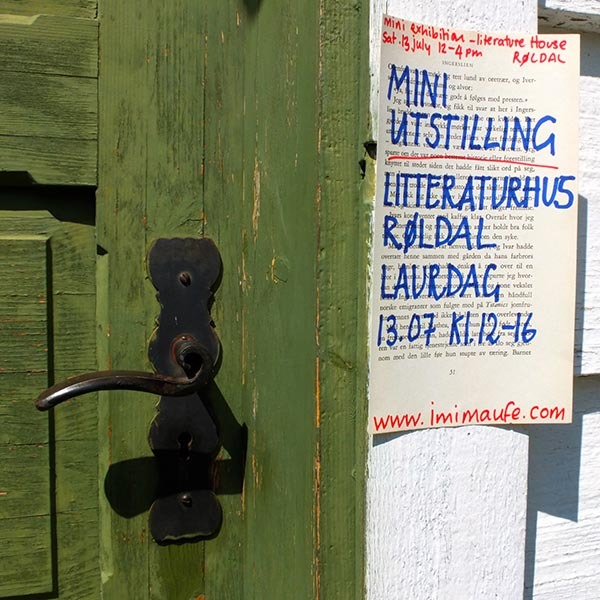 This book is in the making involving a bus journey from Bergen to Røldal. After that I will catch the ferry up to Shetland taking LK 243 UnderSail with me to present it to the Wordplay Festival, and completing its journey for 2013. 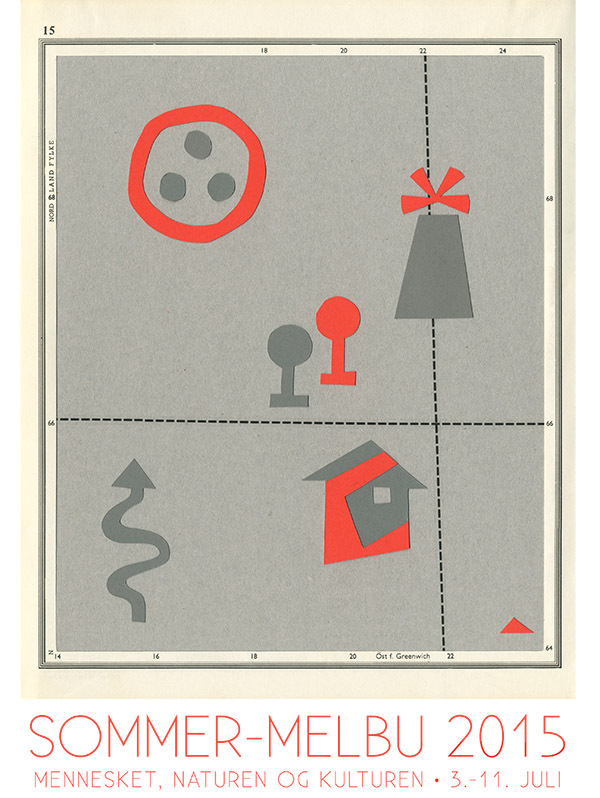 My book 'Getting Lost' has been selected for the Kaleid Editions show in July. and was sold to the Tate in London. 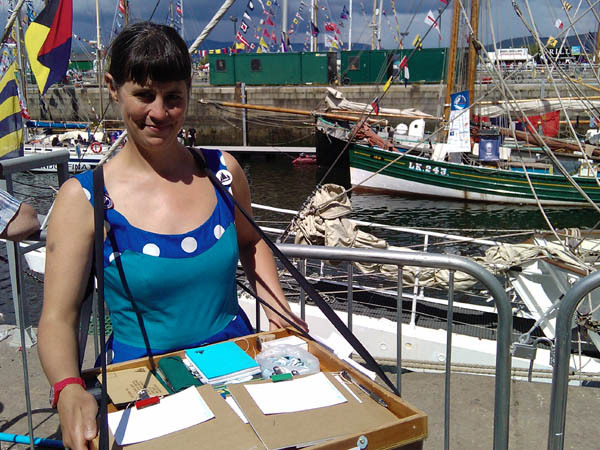 I will be exhibiting the result of the residency onboard the Swan during the Tall Ships Races 2011 at this years Bristol Artists Book Event at the Arnolfini on 20th and 21st april from 11am-5pm. Installation of the Voyage exhibition at Künstlerhaus Dortmund took place in a busy week before the opening on the 8th feb. An intense, but hugely rewarding week working with ten of the artists who were present during installation and the opening. Rona and I made some surprise discoveries chatting with the artists, and there was a great exchange of adventures at sea and conversations about artistic practice. The exhibition is open for two more weeks. 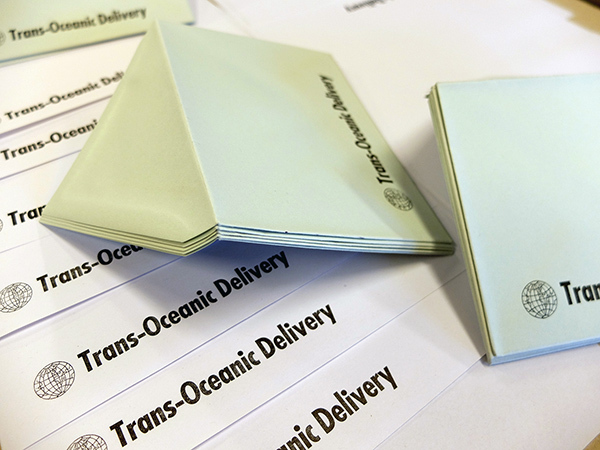 On the last day, 17th March, the curators will give a presentation of their own work related to sea journeys at the Künstlerhaus Dortmund at 5pm. 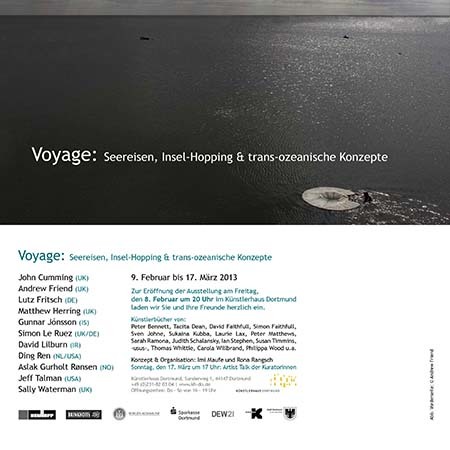 The opening of the exhibition 'Voyage: sea journeys, island hopping and trans-oceanic concepts' curated by Imi Maufe and Rona Rangsch at Künstlerhaus Dortmund (www.kh-do.de) is at 8pm on 8th Feb.
A book section includes work by: Peter Bennett, Tacita Dean, David Fatihfull, Simon Faithfull, Carolina de la Fe, Sven Johne, Sukaina Kubba, Laurie Lax, Peter Matthews, Sarah Ramona, Judith Schalansky, Ian Stephans, Susan Timmins, ‹usus› Uta Schneider & Ulrike Stoltz, Thomas Whittle, Carola Willbrand, Philippa Wood. 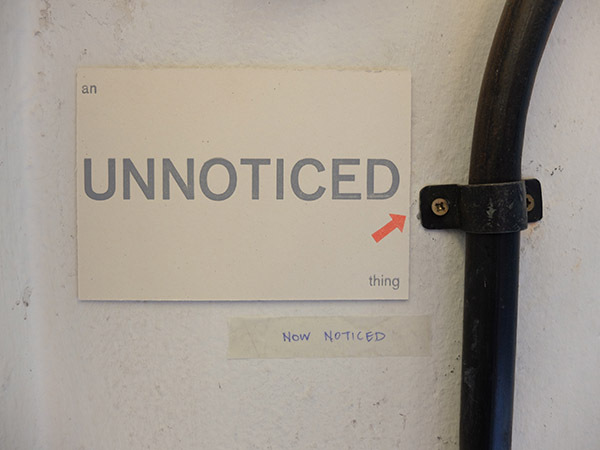 On the closing day of the exhibition, 17th March at 5pm, Maufe and Rangsch will give artist's presentations about their own projects related to the exhibition's theme to give an insight into their motivation for realising the show. May 2012 bring lots of adventures large and small! The Talls Ships Race 2011 finished in the harbour of Halmstad, West Sweden after 5 and a half days at sea. Leaving Stavanger we were becalmed and went round and round in circles of a few days. It is very confusing to leave your watch sailing south (the direction that we wanted to go in) sleep and then wake for the next watch only to be pointing north! 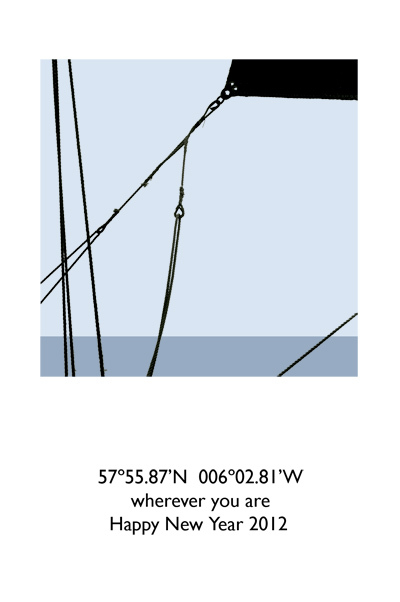 On our trip from Lerwick to Stavanger we sailed in one straight line at course 110°! This was a new experience for me that you can't just go in the direction you want under sail! With no wind and northerly currents we were pushed backwards! Like normal the Swan was at the back of the pack, but we didnt mind, we have a very comfy solid boat! This part of the residency has come to an end, it has been a really big adventure, have shared the Swan with 46 other sailors, small things have happened along the way, funny incidents, broken eggs, lost buiscuit box lids, captains dinners, crew parades, painted faces, garden gnomes, dodging cargo ships in the dark, hunting for waffles etc. Incidences that are hard to retell or capture. But I am going to try! After 4 days off the boat the world has just stopped rocking! Now with a quick turnaround in Bergen I set off for North Uist and Shetland for the next month, to get the essence of the adventure down on paper. Time to reflect and start making! Time to concentrate. 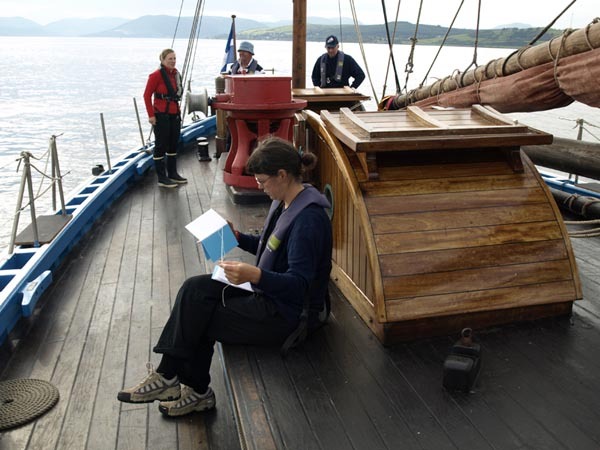 I have been at sea since the 1st July with lots of stop overs at ports and harbours along the way, on board the Swan, a Shetland herring drifter from 1900, as artist in residence during the Tall Ships Race. It has been an non stop adventure of sailing in calm seas and rough ones, and of festivals at each port. Living on a small boat with 15 others of which 8 are teenagers, being on watch at unearthly times of night, sleeping and cooking and just getting into the rhythm of the sailing experience takes time and leaves little time to get anything else done. The call of "All Hands on Deck", "Breakfast", "Dolphins", "Watch Change" interrupts any concentration of getting something down on paper, but photos have been taken and other things are happening along the way. 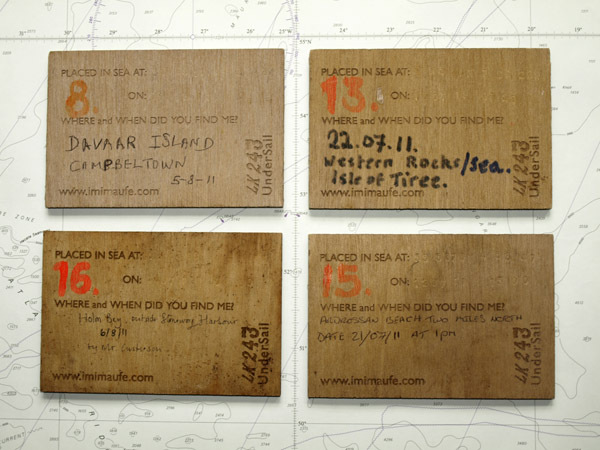 I have thrown 26 wooden postcards in the sea during our trip from Waterford and today I got an email that someone has found one on the beach in Ardrossan, Ayrshire. 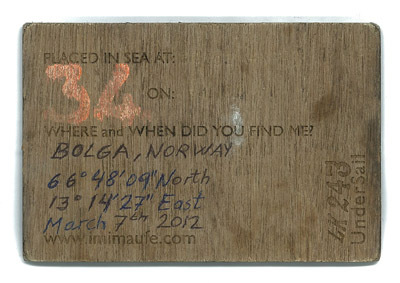 Each postcard is stamped with the coordinates and date of the position of the place it is thrown in the sea. If you find any of these postcards please can you return them to the address on the back of the card. 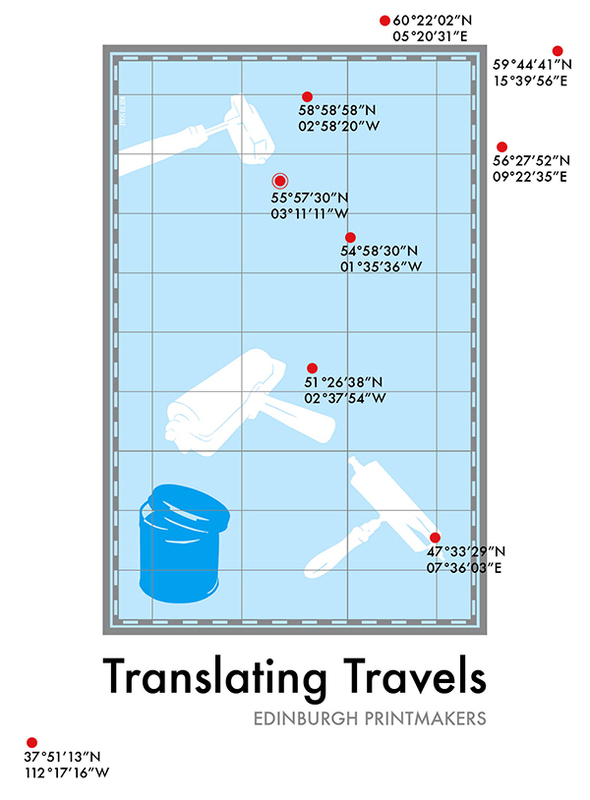 The will then become part of the planned exhibition to take place sometime after the sailing leg of this journey. At each port dressed in a polka dot blue dress, I collect drawings of boats and stories of being at sea, so far I have over three hundred, but am being hampered by wind and rain here in Lerwick were we are currently in harbour. 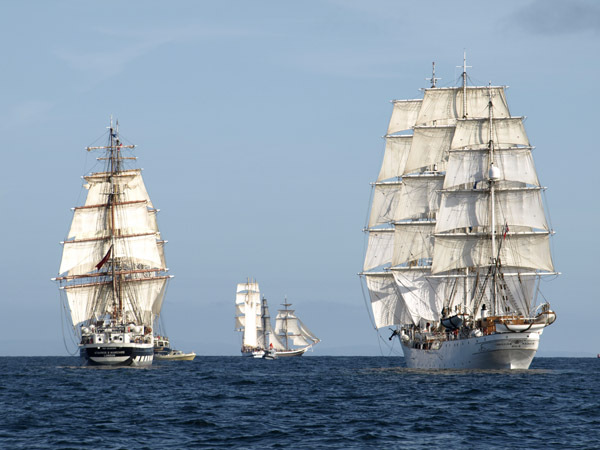 Next leg is to race to Stavanger, Norway with the rest of the boats leaving on Sunday 24th July in the Parade of Sail - a spectacular display of sailing ships from all over the world large and small! Lets hope the wind blows us in the right direction! This summer will be spent on board The Swan, a herring drifter from 1900, taking part in the Tall Ships race 2011. After the voyage I will be based in Taigh Chearsabhagh Arts Centre, North Uist and then at Shetland Arts to complete work documented. 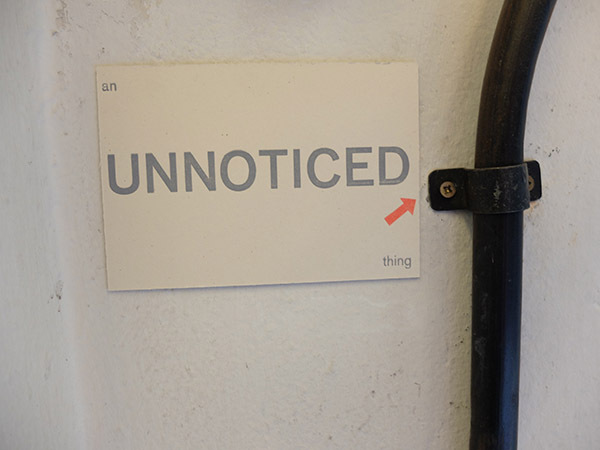 For more info look at LK243 UnderSail in the RESIDENCIES section to the left! Living North of the North Tyne library bookcase and other books were sent to An Talla Solais Visual Arts Centre in Ullapool to take part in the weekend book fair event. 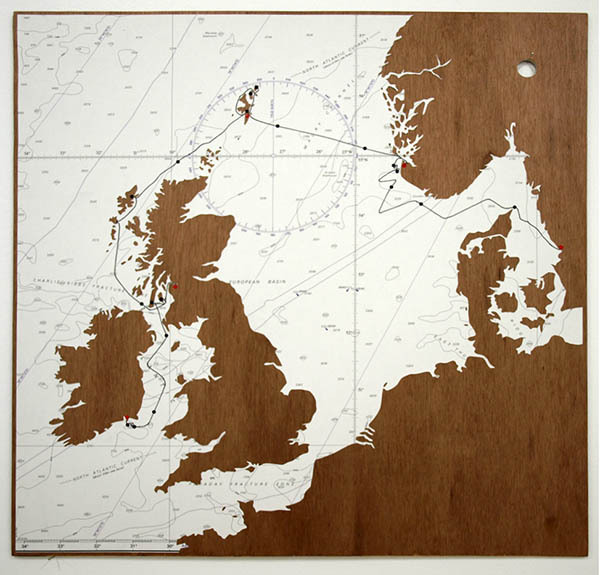 Over the BABE weekend (30th April - 1st May) at the Arnolfini, I will be running an interaction that the public are invited to get involved with, and hopefully we will, by the end of sunday, have drawn a world atlas from memory. Everyone who takes part gets a jogged memory and a free badge! Find the Bristol World Atlas in the 1st floor meeting room, straight ahead at the top of the stairs.